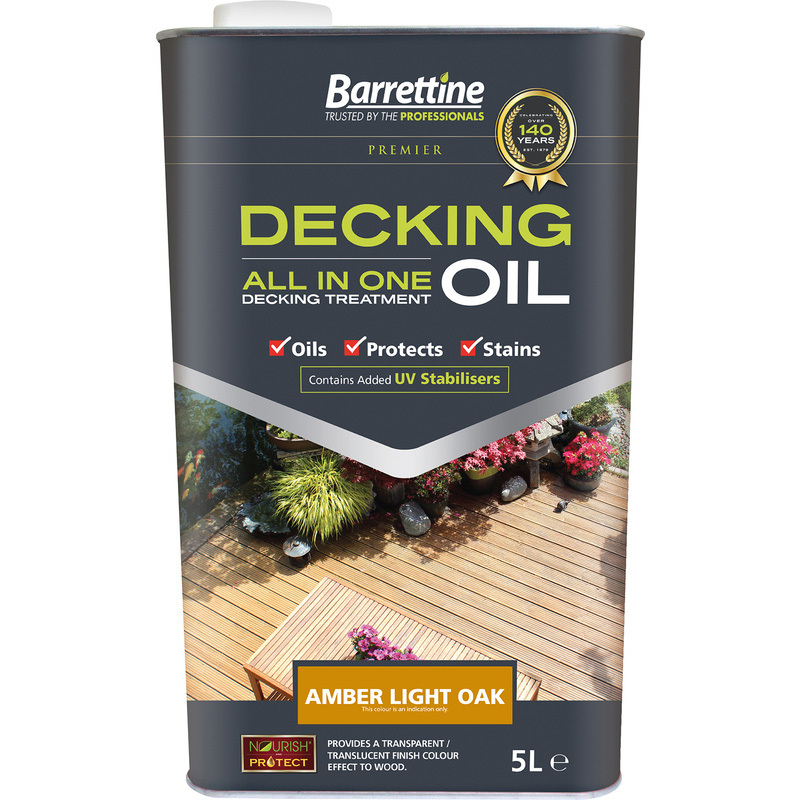 Barrettine All In One Decking Oil Treatment Light Oak 5L is rated 4.7 out of 5 by 156. Rated 5 out of 5 by greatdad from decking oil We bought this expecially to coat a new shed and it looks really good. The colour was exactly as we imagined it to be.